Symbol of imperial power, the eagle was chosen by Napoleon I to adorn the standards of the Grande Armée. 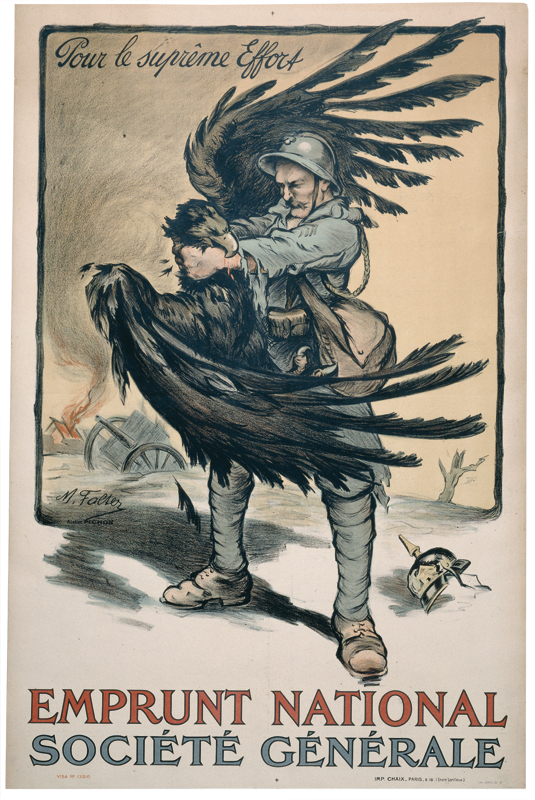 Looking to the left, the eagle is drawn up, the wings spread, one claw resting on “Jupiter’s spindle”. At the base is the regimental number ‘5’. Several models were realized. The first model made in 1804, was designed by French sculptor Antoine-Denis Chaudet and cast by Pierre-Philippe Thomire. On 5 December 1804, the soldiers of the Great Army swore allegiance to the eagle standards in front of the French emperor during an impressive ceremony at the Champs de Mars. Like the lion, the eagle is one the national emblems most used in the world. The German tribes regarded the eagle as the bird of the Norse One-Eyed Father God of War and Peace Odin. 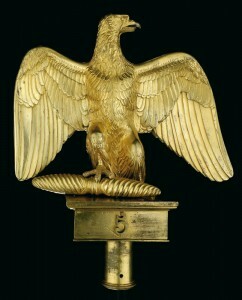 In 800 A.D., Charlemagne adopted the single headed eagle as the symbol of imperial power widely spread in Ancient Rome. 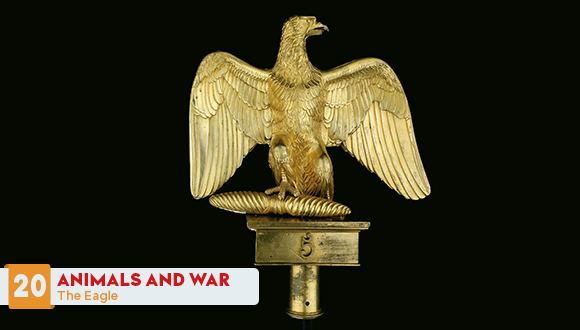 From the earliest antiquity, the eagle was heavily associated with military glories and regarded as a divine bird owing to its association with the god of the sky Zeus/Jupiter. In French, the noun “eagle” assumes the feminine gender in heraldry and also when speaking of the “Roman Eagles”, on account of the feminine gender of aquila the Latin noun for eagle. Thus, in French, “aigle” is feminine, in Roman or Imperial eagle. 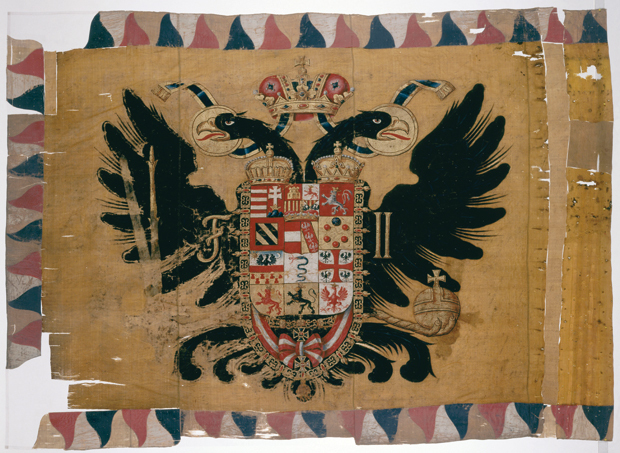 In accordance with Napoleon’s own choice, the eagle associated with power and majesty in reference to the Roman and Carolingian eagles and the bee became the emblem of the French First Empire. 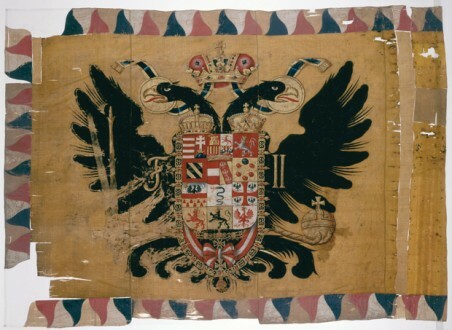 The decree of 21 Messidor, An XII (10 July 1804), stipulates that the Empire great seal and coat of arms of should be “azure with a gold, ancient eagle clutching a thunderbolt of the same colour”. The symbols were created by Dominique Vivant Denon (1747-1825) and Martin-Guillaume Biennais (1764-1843). Swearing it would be victorious. In the furrows and the sunken paths. The sun is up, the guns are roaring.